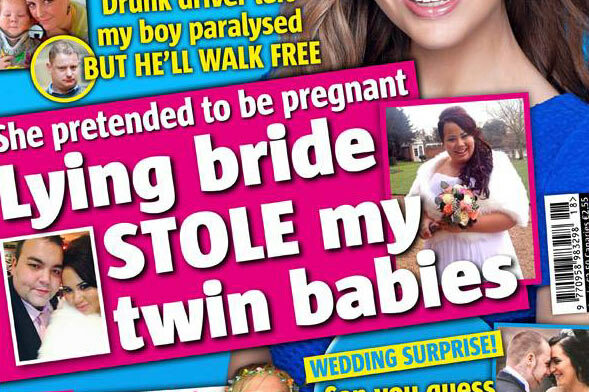 They are some of the most sensational headlines in the business – and they work. 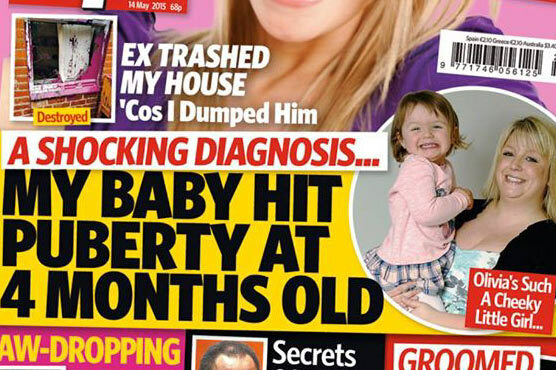 Women’s weekly magazines contain some of the finest – and to be clear, I mean attention grabbing – pieces of crisp headline copy on a news stand. And in a digital age where readers can barely be prised from their next listicle, this is no small achievement. Vice recently interviewed some of the writers dispatched by the red top mags (anonymously, natch) to go and get the eye-popping – and in some cases literally, natch – stories that go toe to toe with the internet up and down doctor’s surgeries and waiting rooms across the land. Meeting the People Behind the Grim Headlines of Women’s Weekly Magazines | VICE | United Kingdom. There are Tumblrs and twitter hash-tags devoted to some of the finest and while the writers grilled by Vice (oops, there we go already, I mean ‘questioned’) felt ashamed of their work, the craft of headline writing shone through. It is of course ridiculous to traduce a horrific life experience to six words in 48 point but if the aim of the headline is to invoke a purchasing decision in an age of free online content delivered directly to a personal digital device, then they are clearly working. At their height, those mags sold three times as best sellling Fifty Shades of Grey, more than 1m a week. So far so tabloid. But Vice DID shine a light on how content was sourced and constructed for the mags. Unlike newspapers, broadcast and digital news sites which can now rely on a steady diet of 24/7 global news to pump at readers – whether it is relevant or not – magazines have to work in the margins. But the days of creative commissioning appears to have been replaced by a new core structure which relies on the constant retooling of existing court cases, revisited anniversary horror shows and tragedy in an industrial fasshion. National news has always existed on a pyramid: newsdesks are supplied by staff and agencies, agencies and freelances rip local papers and news outlets for repackaging and feature freelances scour locals and radio for image friendly packages that can be retooled in feature sections in newspapers and sectional pull-outs. This has generally always existed with all parts able to coexist without too much cross-over. But if Vice is right, a cart leading horse has now emerged. Story archetypes are dreamt up (I was Brought Up By Wolves, My Baby Was Born With Two Heads) and then the galley slave writers have to match the story to the headline using google and a chequebook. I have only had one editor refuse to have me back in the office unless I got a story that matched his pre-written splash headline and it was a lonely doorstep with the relative of a murder victim as I prayed for the quote to come to make the splash. It wasn’t ideal but at least I was working with real material. The horse was technically in front of the cart. But as the red top mags vie for eyes, how soon will it be before life stops imitating art and pushes back? And when it pushes back, will the magazine racks be adding more holes.